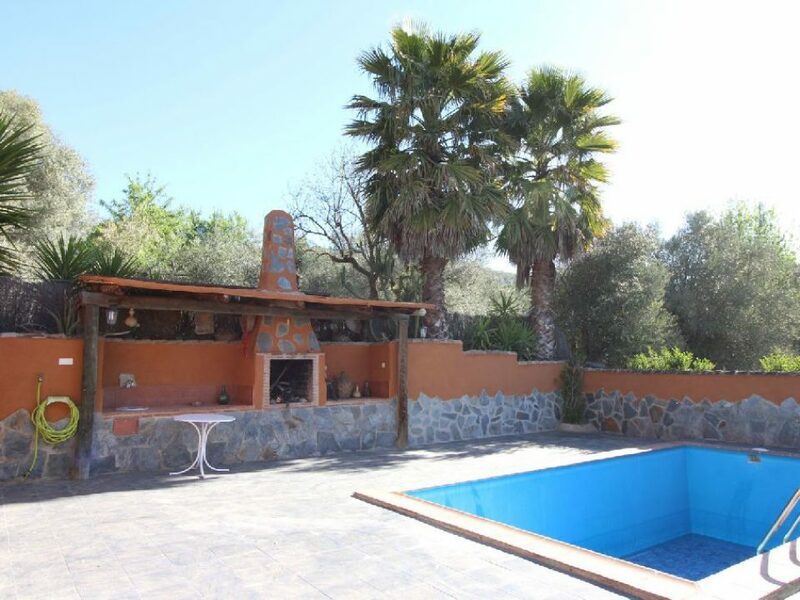 On a 8,500 m2 plot in a beautiful subtropical valley, a two storey country house of 94 m2 with two bedrooms and a pool. 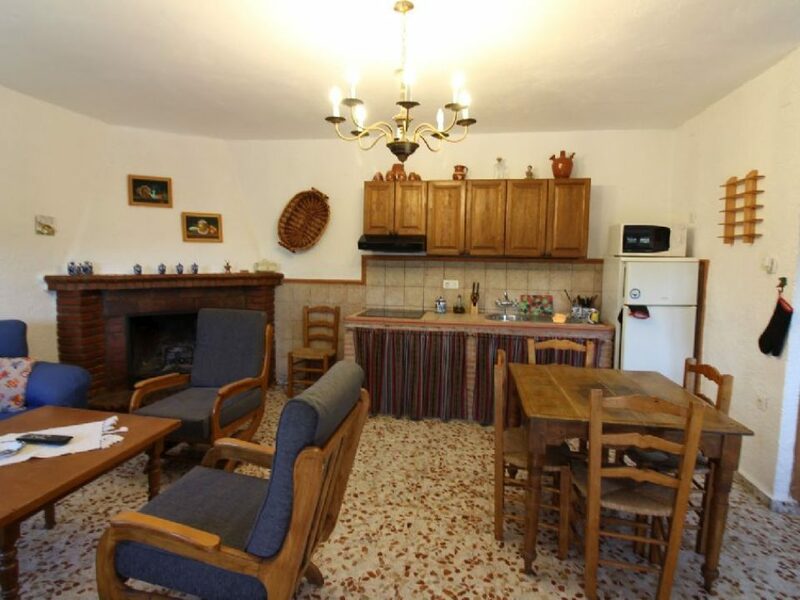 Entering from a front garden, on the ground floor there is a living room with open kitchen and a bathroom. 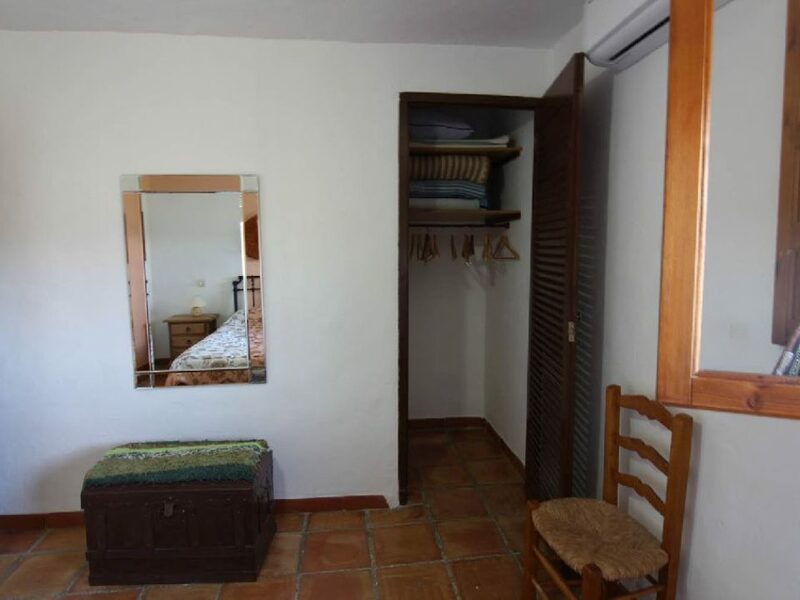 Stairs lead to the first floor, with two bedrooms. 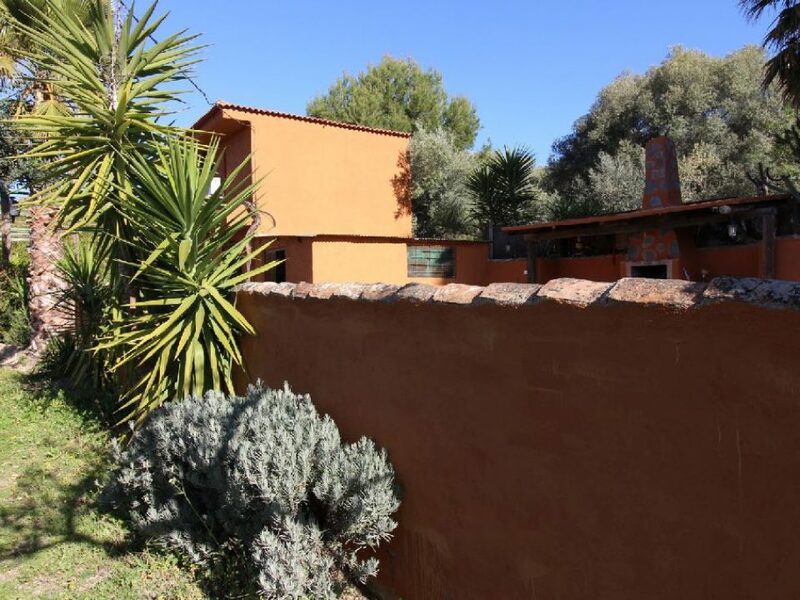 The house is well finished, has electricity connected and water from a spring. 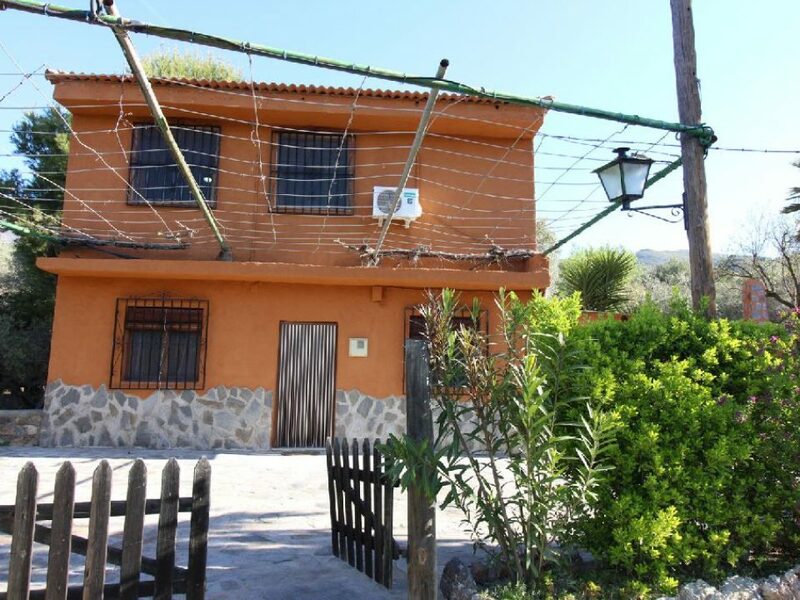 The spring and an enormous alberca of 100,000 l (water deposit for agriculture) are shared by 5 houses, of which this one is the most private, on the end of the road. 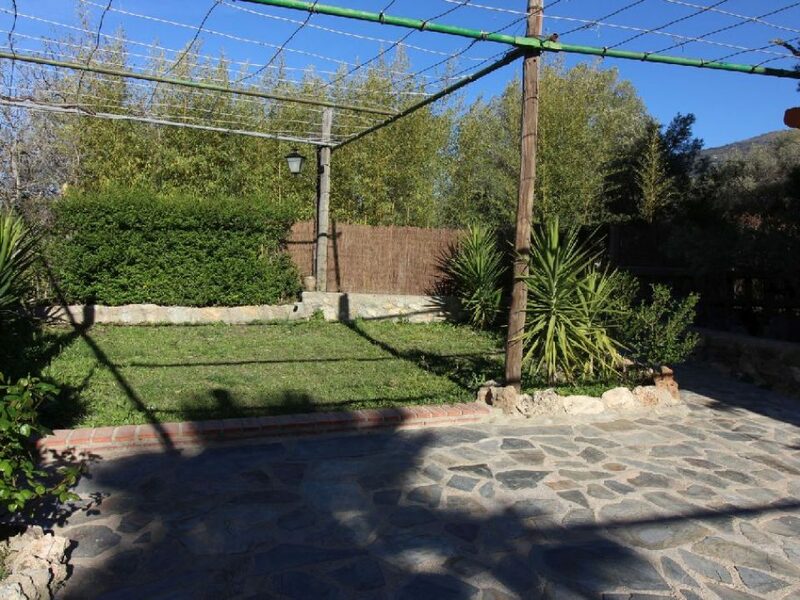 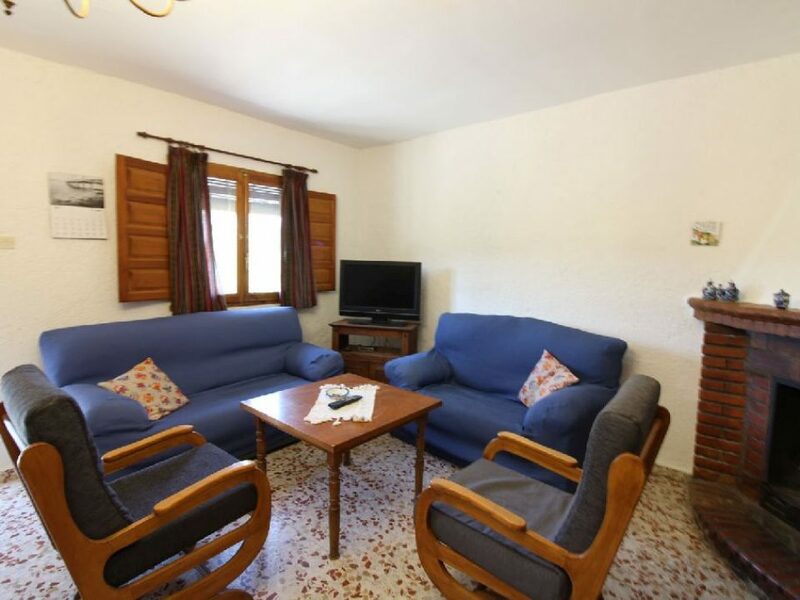 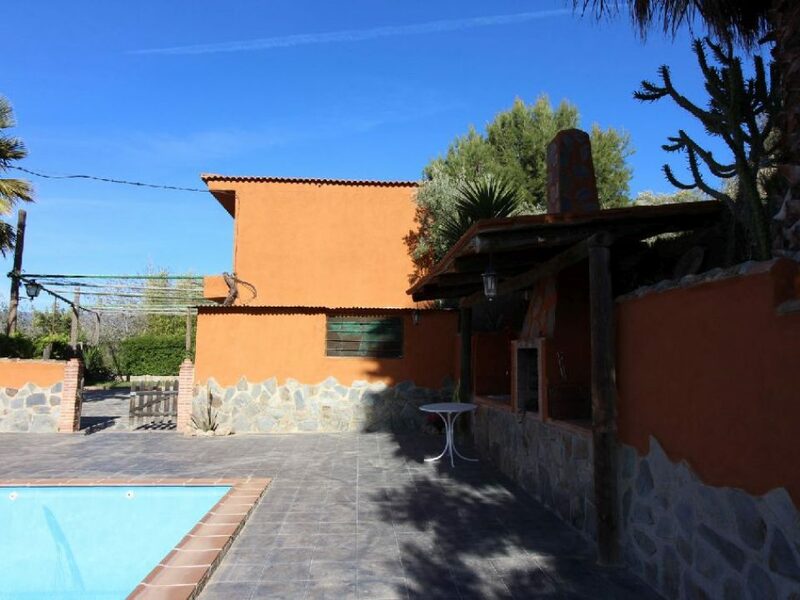 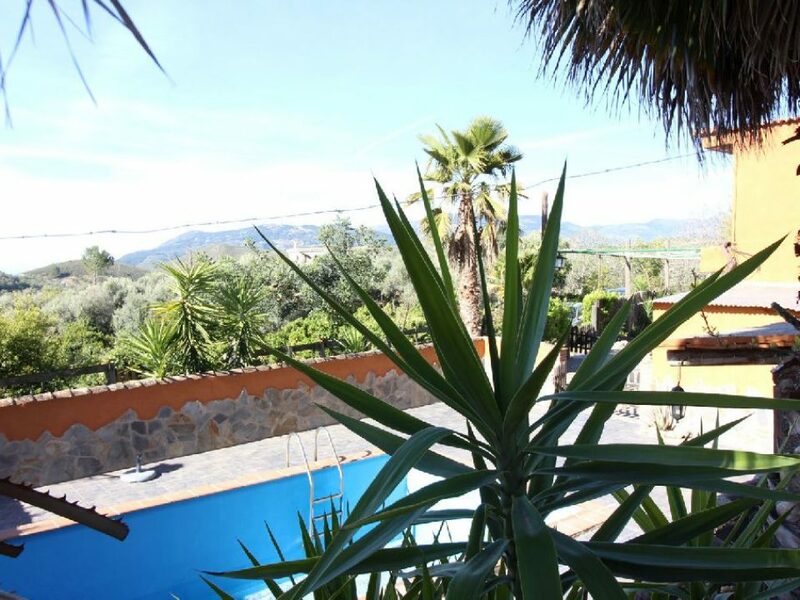 The cortijo has good access and is reached through an asphalt road with about 1 km of track, located at a 10 minutes drive from Lanjaron and 15 minutes from Orgiva. 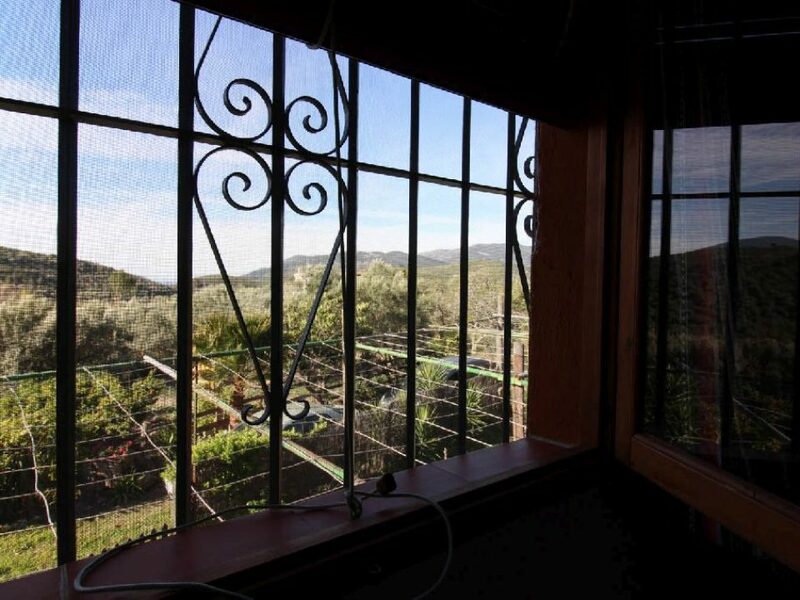 The surrounding land is fertile, with many oranges, avocados and olive trees.